Oberndorfer Landscape Development has years of experience providing exceptional tree care services to keep your trees beautiful all year. Whether you need pruning or tree fertilization to promote healthy growth, or you need complete tree and stump removal, we have you covered. Tree thinning and pruning is an important part of maintaining the beauty and safety of your property. Tree branches can die for many reasons such as insufficient light, damage from disease or pests, or damage to the root structure. Dead or diseased tree branches are a major safety hazard to anyone in your yard or home. Oberndorfer Landscape Development’s expert tree care professionals can identify weak or broken branches and remove them safely to reduce the risk of branches falling on your house or loved ones. Pruning your trees can also enhance their beauty by giving the tree shape and directing the growth. Removing excess deadwood from your trees promotes balance and makes them more pleasing to the eye. Another tree-trimming service to consider is crown lifting, which removes any branches growing or extending below a specified height. This can make it easier for you to mow the lawn and enjoy outdoor activities around your trees. Thinning your trees is an effective way to improve their health and hardiness. Selectively removing certain branches throughout the tree’s canopy increases the amount of sunlight reaching the remaining branches and leaves. A properly thinned canopy also gives the tree more resilience in harsh weather as strong winds pass through more easily, resulting in less stress on the tree. Oberndorfer Landscape Development’s skilled tree service professionals use proven methods to safely prune branches, keeping them away from power lines or neighboring properties. 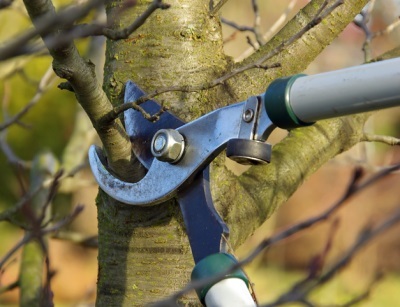 For best results, trees should have an annual pruning in the late fall or early spring. The preferred time for most tree species is in the late fall after it has entered its dormant phase. Late-summer or early-fall pruning can result in late season tree growth, which exposes the new tips of the branches to potentially lethal frost. The cost of ignoring your trees can be extremely high if neglect leads to branches falling on people or structures on or near your property. Before you reach for a saw to do the job yourself, it’s essential to consult the tree experts at Oberndorfer Landscape Development. Done inappropriately, crown lifting can lead to stress-inducing weight displacement and reduced trunk stability. In the hands of professionals, tree pruning and tree thinning can greatly enhance the beauty and safety of your trees. You may be putting off a necessary tree removal because of the amount of work involved, but in the long run, it can cost far more if you wait until a dangerous tree causes serious damage. Old trees may harbor rot in their trunks and branches, posing a danger to people, buildings, or vehicles nearby, especially during storms or after heavy snowfall. Decay or fungus in the root structure could lead to uprooting, which can ruin concrete slabs or paving stones in the vicinity, not to mention the devastation caused by the toppling of the tree itself. When tree removal is called for, it’s time to call a tree service professional. Oberndorfer Landscape Development has years of experience handling tree removal safely and with minimal inconvenience to our customers. Tree removal isn’t as simple as simply cutting down the tree: it must be felled properly to avoid injury, and the trunk and limbs have to be dealt with once it’s down. We safely handle tree removal from start to finish, and give you peace of mind knowing a problematic tree is no longer a liability. Tree removal can be a necessary step and a great relief, but no-one wants to live with an ugly stump in their yard. 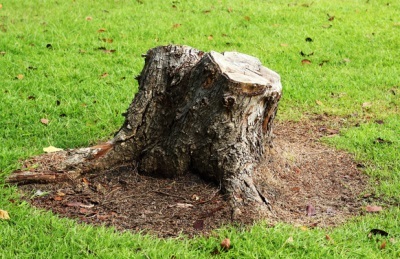 Our cost-effective services include tree stump removal and lawn repair. Stump removal is no easy task, but at Oberndorfer Landscape Development, we’re committed to making it easy for you. Tree stump removal techniques can vary depending on the age, size, and location of the stump. We provide both stump grinding and uprooting, as well as stump disposal and lawn repair. You’ll be enjoying a smooth grassy lawn again before you know it. We also offer comprehensive lawn care services to keep your yard looking its best. You don’t have to live with an unwanted stump or a gaping hole in your lawn. 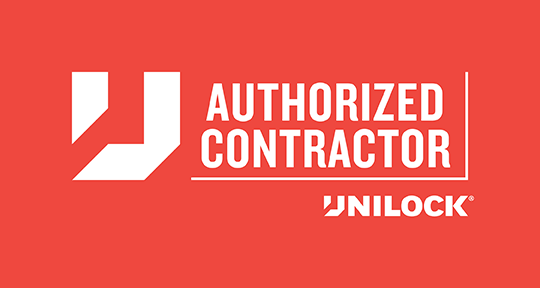 There’s no need to handle dangerous chemicals or rent expensive equipment. Call the professionals at Oberndorfer Landscape Development to take care of your tree and stump removal quickly and completely. Our attention to detail and excellent customer service will make your life easier and safer. Wisconsin’s harsh winter weather can take a toll on your valued trees. It’s risky to assume your trees can handle winter weather simply because they’re fully grown. Neglecting your trees could result irreparable damage. Our professional landscapers are experienced in the proper techniques to protect your trees from severe cold and wind. Once your tree has been pruned, it’s important to place a layer of mulch around the base of the trunk. This will help the soil around the roots retain moisture, and also helps protect the roots from bitter cold. We provide several varieties of mulch ranging in color and texture to best suit the type of tree and complement your overall landscape design. The tree care experts at Oberndorfer Landscape Development can take care of all your tree winterizing needs, including installation of protective tree covers. Learn more about our complete landscape winterization services and get a head start on your winter protection plan today. Contact the best tree care service in Mequon for anything from pruning and trimming to stump removal.